"Tommy, pick up your toys." And without another word, mother sent Tommy to his room for disobedience. We'd think this mother too harsh. But suppose we had entered the room an hour earlier when she had given Tommy a loving hug and asked Tommy to pick up all his toys... or thirty minutes later when she had reminded him he needed to pick them up before company came... or fifteen minutes after that when she had told Tommy she'd punish him if his toys weren't picked up soon. Instead of seeing her as harsh, we'd consider her patient - too patient. We'd see her requests as reasonable and Tommy's reactions as rebellious. The timing of her punishment is important. In all cases, God is exceedingly patient. He gives us more chances than we deserve (Psalm 103:8-14, 2 Peter 3:9). 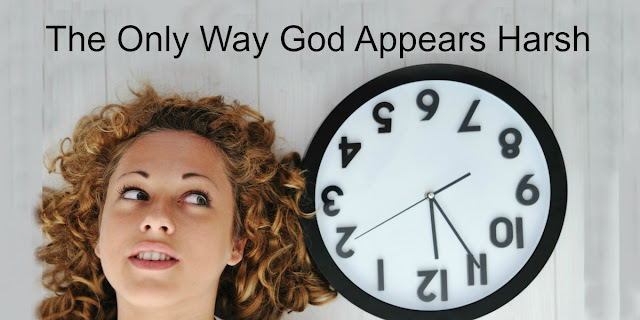 * For one example of God's patience and willingness to give men more chances, read the book of Jonah. It blesses me to hear this, Carole. 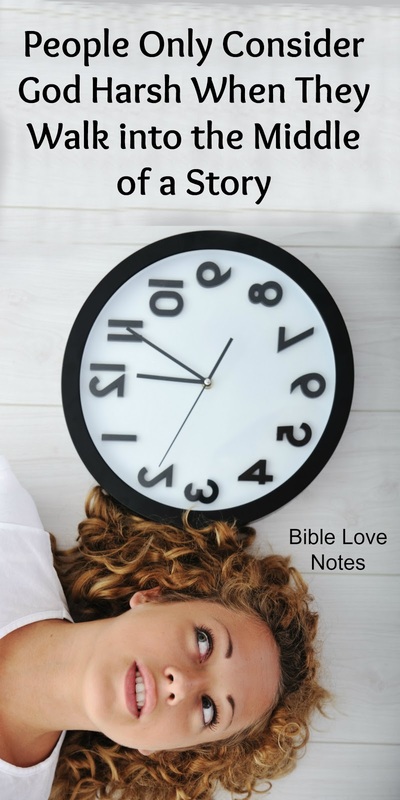 I pray Bible Love Notes will bless you and your husband and draw us all closer to the Lord. Same here...recently discovered this page and so far I'm addicted to the truths being shared..which is hard to find these days. God bless you. I'm excited reading today's love note and for Carole. I've been a daily reader (except a few times playing catch up) for just over a year. I too have encouraged my husband to share in these quick but encouraging devotions for those exact reasons. He is now following Gail on Pinterest along with me and often shares the latest love note or bite sized bible study with me before I get a chance to click my bookmark. :) Thank you Gail for being such a blessing to so many. Thanks so much for this encouragement, Misty. You and Carole have blessed me with your kind words. May we all draw closer to Jesus as He teaches us more about His wonderful love and truth.